I can't believe the RAF retires the last of their Tornado aircraft in March next year! The Poms are known for decisions they later regret and cover-up. Jaguar, Nimrod, Harrier and now this . 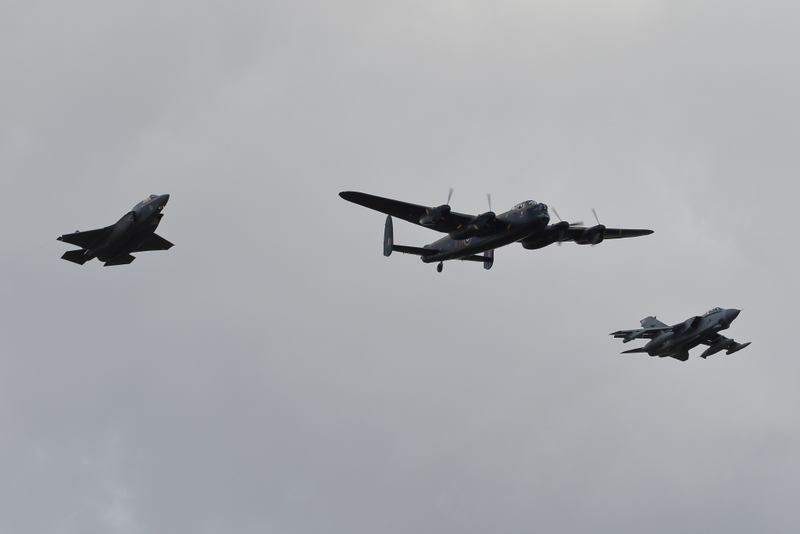 Glad I got to see them in full AB departing RIAT. Hopefully the Italians will carry on with theirs for a while. A true Cold War icon !! 617 Squadron is replacing them as well. They did a flypast to celebrate. 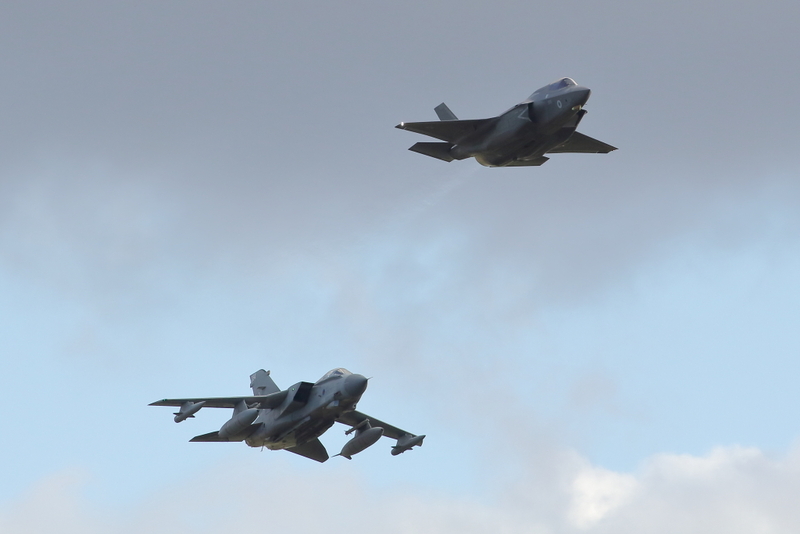 The Tornado wasn't really an elegant aircraft, but the F-35 is even less so. Last edited by Illustrious on 21 Nov 2018, 20:56, edited 1 time in total. I guess if we could choose of which of them we wanted a whole squadron of, there would be doubt! It takes about 30 years for a combat aircraft to finally mature into the platform intended, that's why they need a outlook of another 30 years. Having said that there are some types that have proven to be irreplaceable like the B-52, A-10 and our venerable C-47 TP's. Whilst the Tornado is now in its prime, resources are needed to develop the newer aircraft like the Typhoon so that they can meet future requirements. Last edited by Mars on 21 Nov 2018, 22:35, edited 1 time in total. 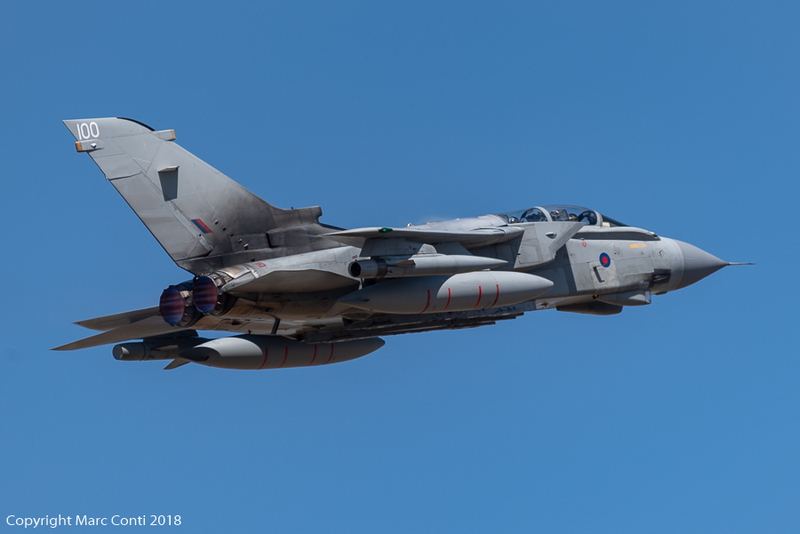 The very last RAF Tornado fly-by for RIAT. I'm probably not going to be popular for saying this, but personally I think the F-35 is a POS. Here is a different perspective on the Tornado. Development of the Tornado was done and the expense of the Buccaneer. It's strange to think that one of the best strike aircraft ever developed was considered to be a stop gap. When I first read the thread title I thought for a second that the RAF was retiring an aircraft of Spanish origin. Unusual flypast, turning 9 diamond with wings extended. I would have tought there would have been at least one straight 9 diamond pass with wings in fully swept back. Also no solo. Rather underwhelming for an aircraft that gave the Brits such good service. Wish they had done those special schemes for RIAT for the RAF 100. Tornado got hardly any love at RIAT.